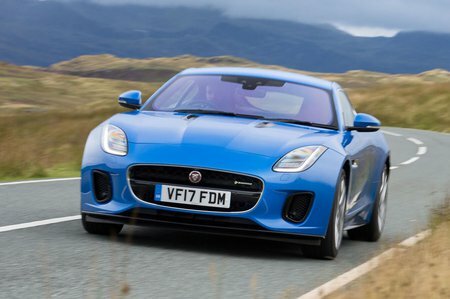 Jaguar F-Type SVR Review and Deals 2019 | What Car? The top-spec SVR model gains an aerodynamic bodykit with carbonfibre rear wing, lightweight exhaust, SVR seats and a front parking aid. Only available with the V8 575 engine.